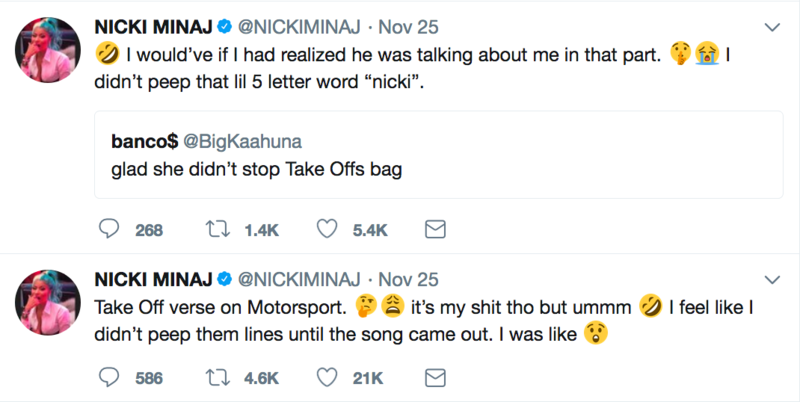 Nicki Minaj, Migos & Cardi B's "Motorsport" took over airwaves weeks ago. But for some reason, Nicki didn't know about TakeOff's raunchy verse where he namechecks the Head Barb. Interesting, since Nicki claims nothing with her name on it gets released without getting past her first. The verse she's talking about? Folks have certainly said worse. 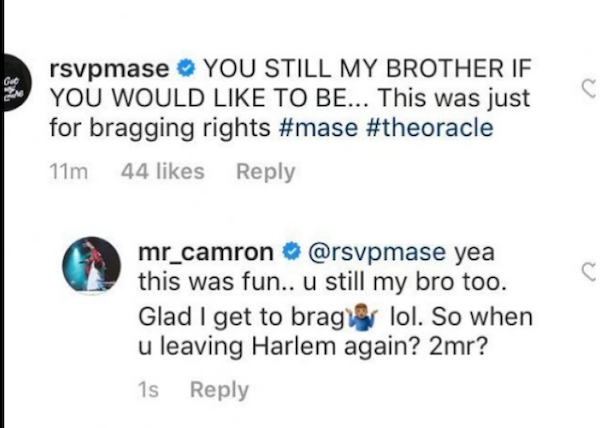 In other rap news, Cam'Ron delivered his response to Mase's diss track as promised. After Mase arguably ethered him over a 20-year beef in his track "The Oracle," Killa Cam put on his Dipset hat to come for his Harlem frenemy. Check out "Dinner Time" above. PREVIOUS: IT TOTALLY HAPPENED: Meghan Markle & Prince Harry Are OFFICIALLY Engaged! Here's The Royal Wedding Deets So Far.